One of my creative goals for 2014 is to take more art classes, and explore new mediums. I spotted a class at the San Francisco Center for the Book which featured image transfer techniques taught by Courtney Cerruti. I peeked through Courtney’s Instagram feed, and knew that aesthetically, the class would be a great fit for me. I have attempted image transfers before (mostly by heat transfer), but I appreciate having a whole day to just play—and thankfully, Courtney encourages that kind of exploration in both her class and her book. So imagine my dismay when I enrolled in the class, ordered the book, and….the book didn’t arrive in time. In class, I joked with Courtney that she should sign a scrap of paper, and I’d image transfer it into the book. When I arrived home after class, the book was waiting. Silver lining: Courtney and I are both local, so I’m hoping to meet up with her again, share a pot of tea, and chat about art, craft, and old books. Exploring Creative Imagery for Use in Art, Mixed Media, and Design. Illustrated. 144pp. Quarry Books, 2013, $24.99. I have had the benefit of seeing Courtney demonstrate the techniques from her book, and I’ve had a day of studio time to play alongside her and a group of likewise intrepid image transferring gals. I think the class has given me a little more confidence than if I’d just cracked open the book. 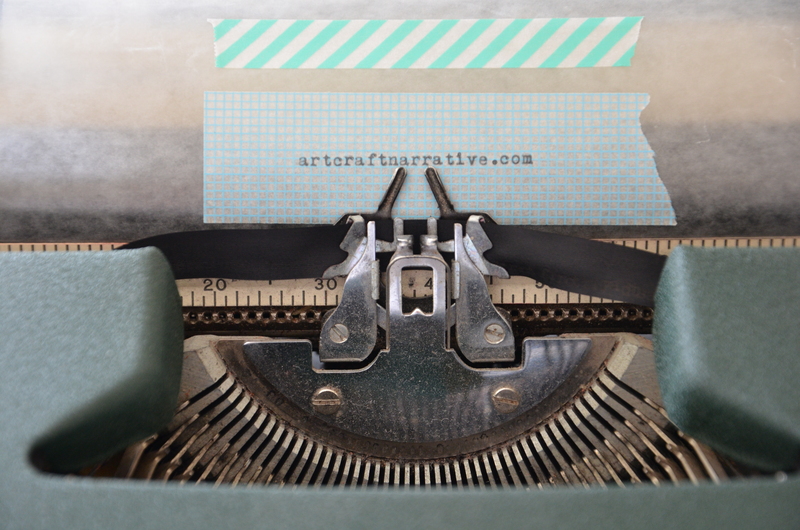 But truly, the trickiest part is finding and copying all the images you will want to use in all your art journals, collages, handmade cards, and art projects. I have spent the weeks between the class and this review building a file of images to photocopy. Last week, I took two burgeoning files and a stack of old books and Dover catalogues to my local copy shop, settled in and copied—for two hours. I made black and white copies. I made mirror image copies. I made color copies. And I happily trotted home with 75 pages of imagery to transfer. At home, with my stack of copies and Courtney’s book, I started small. I made some quick blender pen transfers of birds and butterflies on a few mat-finished cards from Studio Calico for my Project Life® album (this is my week by week family journal with photos and stories). Blender pens are xylene or xylol with a felt-tip applicator. The tip makes it easy to apply to small, detailed images. The Chartpak Blender pen is nontoxic, but really pungent (you will not want to use this pen in an enclosed space or near unsuspecting companions). This pen works best with straight black and white toner photo copies. The results are similar to rubber stamping with black ink, except that the image options are limitless. If your image shifts a bit during the process, it can cause some haloing, which only adds to the charm. This is a very easy process, and can add to your art journaling, collages, and any other variety of paper projects. I attempted a couple acetone transfers on those same Studio Calico cards, but the results were spotty. I think the images didn’t have enough contrast, and the stock absorbed too much of the acetone. Then I tried the Blender Pen with the color prints. I recall Courtney saying that it may not work, but she also advises that all copiers are different, and to keep playing. Happily, the Blender Pen worked! Packing tape transfers are the easiest transfer technique, but I sometimes don’t want the high sheen of packing tape, and I feel limited by the 2 inch wide roll. It does make for a cool project though, and can be done with kids. Just adhere the tape carefully to a magazine page or photocopy, burnish it, then soak the paper pulp off. The toner sticks to the adhesive, and yields a highly transparent tape. I used packing tape transfers in some of the collages I made a few weeks ago. Here are the latest batch drying on a window with the smooth side against the glass. I keep them on sheets of waxed paper, as recommended by Courtney. 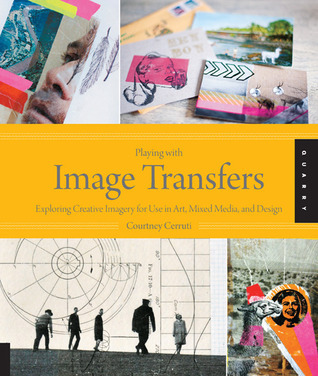 Courtney includes 19 project ideas to take you from playing with image transfers to actually making something from them. 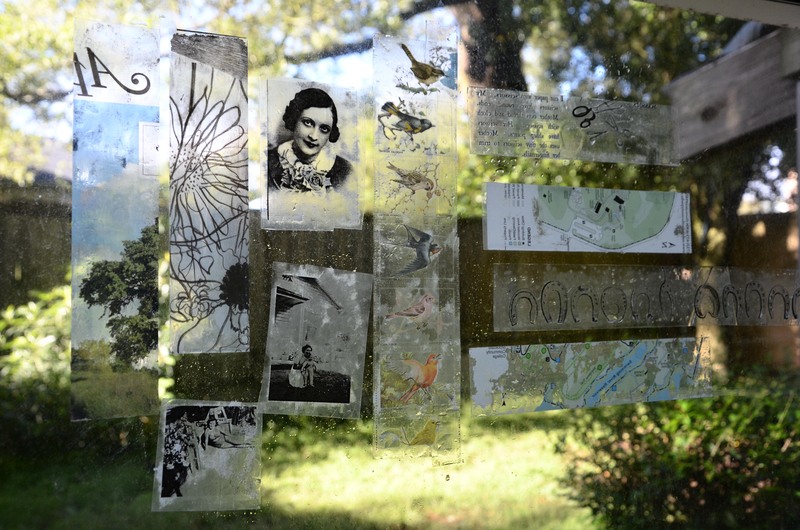 Collaged postcards with packing tape transfers. A jumpstart for sketching. Wearables, pennants, and stationery. Plus a host of mixed media project ideas. Fauxlaroids. Brilliant name, eh? This project features packing tape transfers onto Polaroid-sized paper that will take you straight back to 1986. This project inspired me to order a 6 inch wide roll of packing tape. Then I thought it could also be scaled to fit Project Life 3X4 pockets, and take on the appearance of an Instax print. I think the high gloss of the packing tape translates well with this project. Photo Sur Bois. 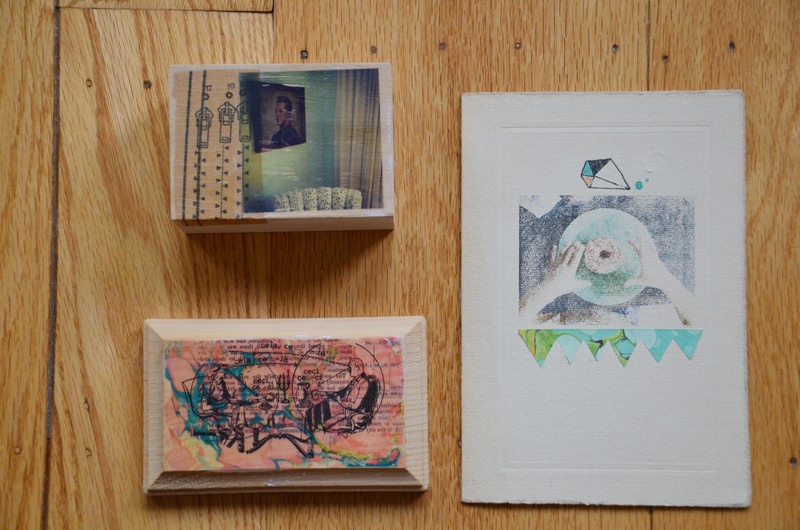 This project features my favorite transfer method–the Gel Skin Medium Transfer on wood. I had success with this method in Courtney’s class. At home, I had a couple small wooden plaques. I learned from the class that the hardest part about transferring on wood is waiting for it to dry. So I painted on the gel medium, and carefully smoothed an image (image side down) onto the gel medium, then allowed it to dry overnight. Once wet, the paper rolled away, revealing some marbling on vintage paper that I made a few years ago. Then I layered on some other elements. Outcome: the transfer over transfer wasn’t a complete success. Too much text in both images. Next time, I want to try to cover the wood with vintage fabric, and transfer an image onto it. Or perhaps photocopy the fabric and use that as a background. Or paint the wood, and use the acrylic paint transfer method. Likely, there will be more of this image-play to come since I have a stack of veneer varietals. Above left image of portrait & chair, and donut with hands are courtesy of Courtney Cerruti. Mixed-Media Wall Hanging. Another method that I want to spend more time exploring is transferring onto fabric. Courtney’s piece features an assemblage of fabric with a photo of her grandmother framed by stitching, fabric scraps, and buttons. It hangs from drift wood and heavy red thread. An homage, and utterly tactile. This piece inspires me to make. Modern Magnets. I’ve gathered the materials for this project, and plan to spend an afternoon making a batch of artisan magnets with my boys. They each have magnetic boards, and a set of animal-themed magnets is required. 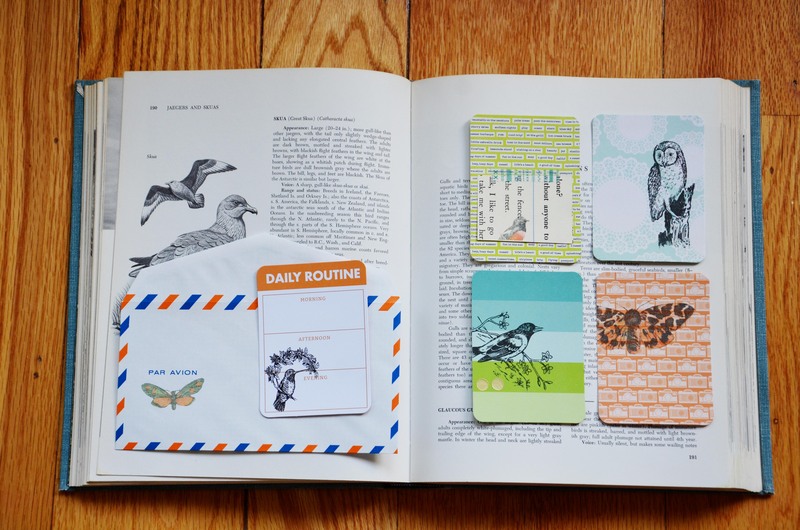 In my copying expedition, I included their favorite animals, and other vintage curiosities. Typewriter Tape Transfer. Courtney recommends typing on tape. I was surprised to see how well my old Smith Corona typed onto the washi tape. No smudging. And what you can’t see is how deeply etched the letters are. This would work for any type of papery tape like masking tape, washi tape, or artist’s tape. It strikes me as the reverse of a Dymo labeler. This book is for the artist or crafter who wants a little image transfer guidance and inspiration. You do not need to have any previous experience, though an art journal to play in would be helpful. Courtney’s methods are solidly illustrated, and the materials are easy to find. Courtney also includes a number of templates for completing the projects, and a resources guide for finding all the materials needed for sourcing and transferring images. The mat-finished pages of this book feature cleanly-designed layouts, and artfully illustrative photography. I would be remiss to omit mention of the extensive contributor’s section. Each of a wide stylistic range of pieces is visually inspiring, and notes the specific transfer method used. You can find a window to Courtney’s visual world on Instagram, or at her website, and blog–which features a video peek at Courtney’s process. She works and teaches at Creative Bug, and SF Center for the Book. She also has a new book about the many delightful uses of washi tape. Thank you, Courtney Cerruti, for creating a tried and true book of methods that have me contemplating the purchase of a giant, grinding copy machine, researching 6-inch wide packing tape, and making great use of all the scrap wood veneer that I’ve been stockpiling.